Class 2: Spring 2019 Date to be announced. Please contact the school to be added to the spring registration. Once Brian notifies the school of the dates, you will be contacted. Time: Friday, 6:00 p.m. to 9:00 p.m. & Saturday, 9:00 a.m. to 4:00 p.m. 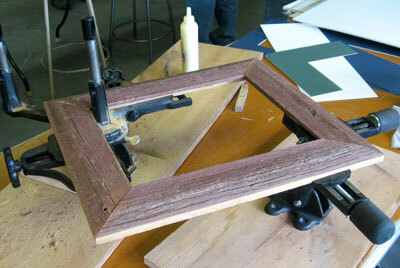 The framing room at the Milan Village Arts School is becoming a complete framing workshop. This class will show you how to use the resources at the school to make wood frames, cut mats, cut glass, hinge artwork and assemble the pieces to give your artwork polish. There will be tips on design, but the focus of this class will be the mechanics of using these simple tools so that you can have the expertise to solve most any framing problem. 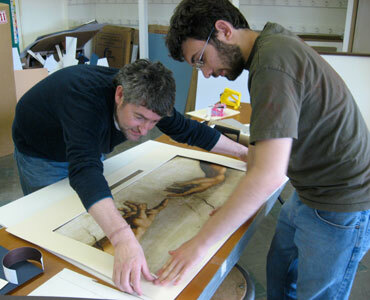 Members who have taken this workshop have access to the Framing Room to work on their own projects. Cost: $5/hour, $10/half-day or $20/day.